New heritage breed chicks have arrived at Stark Hollow Farm. Chicks arrive at 1 day old and immediate care must be given for hydration, food, electrolytes and heat. These little gals need to be maintained at 95 degree Fahrenheit. The temperature is reduced gradually over a number of weeks until the birds feather out. Keep us in mind if you are looking for a small backyard flock this year!! Chicks will be available in early summer. Breed photos courtesy of Murray McMurray Hatchery. 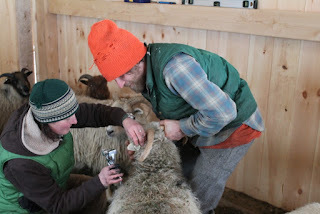 We traveled down to Good Heart Farmstead, L3C to visit Edge and Katie and complete some tattooing of the sheep they purchased from Stark Hollow Farm last summer. 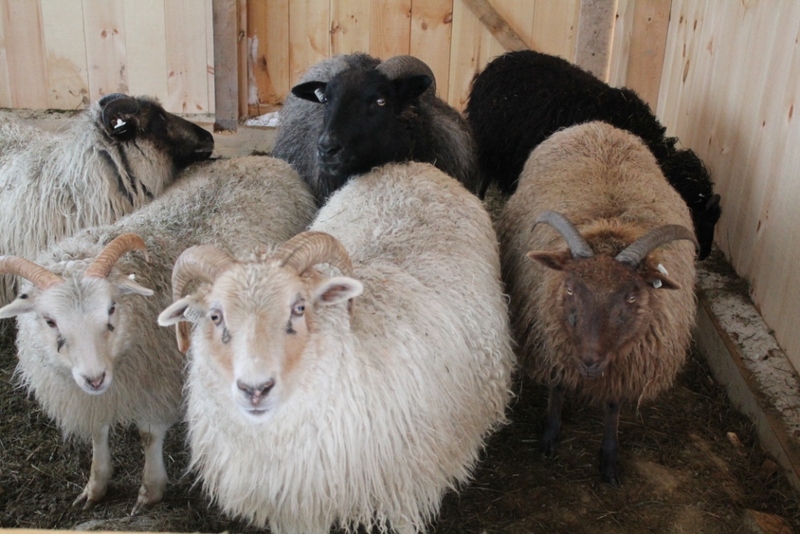 The girls look great and are now in the company of a handsome ram from Knoll Farm named "Prince". Vanessa took a few minutes to give a quick hoof trimming lesson. It was great to see Katie and Edge and their blossoming new farm in Worcester, VT.
Two rounds of AI breeding completed for our Tamworth gilts. It's our first time trying artificial insemination and we are hopeful that in 3 months, 3 weeks, & 3 days we'll see some beautiful little piglets on the farm. 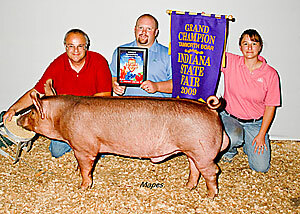 Registered Tamworth breed stock and feeder pigs available in July!